Google social search: The tech giant’s disastrous decision to muck up its search results. Google’s disastrous decision to muck up its search results with stuff from your social network. Google just broke its search engine. It did so under the guise of an improvement, an effort to mesh traditional search results with stuff from your social network. 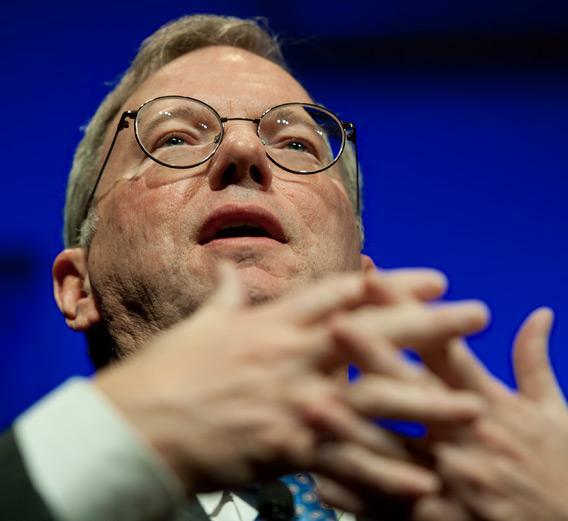 Within hours of announcing the change, Google took fire from tech pundits and competitors. Most of the criticism focused on implementation: Instead of drawing content from many different social networks, Google’s new results will lean heavily on its own network, Google+. How does new-and-not-improved Google work? I just searched for “Mitt Romney New Hampshire,” and among my results were a handful of posts and images that my friends and colleagues shared via Google+. Regular readers know that I consider Google+ a wasteland and that I’ve left it for dead. On the other hand, I’m constantly on Twitter and Facebook—but my search for Romney turned up nothing that had been shared by people on those sites. Meanwhile, as Search Engine Land’s Danny Sullivan points out, if you search for “Facebook,” Google now suggests that you follow Mark Zuckerberg’s fallow Google+ page. Zuckerberg’s most active online outpost is on Facebook. If Google doesn’t tell you about the Facebook CEO’s Facebook page, it’s broken. Google has issued a few explanations for why other social networks aren’t a bigger part of the new service, which is called “Search, plus Your World”; like others, I find these explanations vague and unconvincing. But unlike the rest of the tech press, my biggest problem with the new feature isn’t Google’s self-promotion. Yes, if Google is going to add social networks to search results, I’d prefer if it included social networks I actually use. But I’ve got a better idea altogether: How about not including stuff from my social network in search results—not from Google+, not from Twitter, not from Facebook, and not from anywhere else. For more than a decade, Google search wasn’t “social” in any way. When I searched for a new car or a European hotel or the best way to plunge a toilet, Google would give me results that reflected the collected view of all Web users. That worked really well! Not once during those years did I get to a Google results page and lament that I couldn’t see my friends’ ideas about the car I should buy or the hotel I ought to book. While my friends are thoughtful and knowledgeable people, their views on the tens of thousands of large and small inquiries that I bring to Google every year are almost always irrelevant. When I’ve got a clogged toilet, I want advice from an expert—a plumber, preferably, but I’ll even take the stranger who wrote this eHow post. What I don’t want to know is which link my boss consulted when his toilet was clogged. I bet I’m not alone. Google has been integrating what it calls “social search” since 2009, and a year ago, it began highlighting links shared by friends. It also began using that sharing behavior to determine how links were ranked. Late in 2010, Bing began a similar social effort with Facebook. I remember thinking that these social links might be helpful to my searching, but in practice, I can’t recall a single instance in which a friend’s shared link has been the perfect answer for my search. Can you? Now, I understand that different searches call for different kinds of results. Sometimes a search query is ambiguous, and the only way for Google to determine what you’re looking for is by relying on what it’s learned about you in the past. Google began “personalizing” search results in 2005, and in 2009 it made personalized results the default. Now when two different people search for the same thing, they’re likely to get slightly different results based on their location, their previous queries, the kind of device they’re using, and a variety of other factors. I’m fine with personalized search—Google should use what it knows about me to improve my results. What bothers me is “social search,” which uses what Google knows about other people to determine my search results. More often than not, the inclusion of social results on Google and Bing seems like a cheap gimmick. They don’t improve rankings in any meaningful way, and to the extent that they’re replacing other valuable links, they’re cluttering my search page. Just to be sure, I spent an hour this morning going over my Google search history, which includes more than 52,000 queries that I’ve performed over the years. I re-ran some of my old queries in two ways—first with Google’s new social-heavy service turned on, and then with it off. (Yes, thankfully, there’s a button to deactivate the new feature, which is turned on by default.) Among other things, I searched for Emo Philips, “hot mess,” Pakistani biryani, Mark Duplass, Dualit classic white toaster, Harold Camping, flourless chocolate cake, padron pepper, child proofing, Jerry Brown taxes, Kia Soul, and Hawaii big island hotel. Several of these queries returned links that were shared by my friends, but not once did Google return a fantastic link on the social page that it didn’t also return on the non-social page. In most cases, the results were identical; in the few instances in which the social page returned additional links, those links weren’t what I was looking for. It could be that I’m doing it wrong. I chose a wide variety of search queries, but it’s possible that I didn’t choose exactly the right kind of search that could be most improved by social ranking. Perhaps my results are also affected by the fact that I don’t use Google+ very much—perhaps if I were more active there, Google would have better social stuff to serve me. Yet even the examples that Google employees have been showing off don’t seem very useful to me. On his blog, Matt Cutts, who heads Google’s Webspam team, points out how his query for general tso’s chicken is improved by social links. He follows Jennifer 8. Lee, the author of a book about Chinese restaurants, on Google+. When he searches for general tso’s, he gets a link to Lee’s definitive Quora post on the history of the dish. If you don’t follow Lee and you do the same search, you won’t get that post. But I don’t see the logic here. Isn’t the Quora post a good result for general tso’s chicken whether or not you’re friends with Lee? And the reason it’s a good result is that she’s an expert on the topic, not that she’s your friend or colleague. If Lee’s post isn’t coming up for all Google searchers—rather than just the ones who are perceptive enough to follow her—it would seem to suggest something is amiss with Google’s algorithm. You shouldn’t have to friend a plumber in order to find a good link about unclogging your toilet. Amit Singhal, who heads Google’s search quality team, points to another example of social search coming in handy. When he searches for chikoo—a kind of fruit that Singhal loves—the search engine also shows him pictures of his dog, which he named Chikoo. The pictures are from his and his wife’s social pages—either Google+ or Picasa Web Albums. I tried something similar by searching for Khalil, my son’s name. Sure enough, his picture (which I’ve shared with some relatives on Picasa) came up in my results. If you were to search for his name, you wouldn’t see his photo (unless I’d shared it with you). But that strikes me as too much of a departure from what I’ve always used Google for. I think of search engines as a gateway to the rest of the world, not as a repository for stuff about me. Going to Google for pictures of my son seems as strange as going to a bookstore to look for my diary. It’s possible that Google will succeed in convincing us to think differently about search engines, but I doubt it. Google results have long been about more than just me, and I loved it that way. Let’s keep my friends and family out of it.